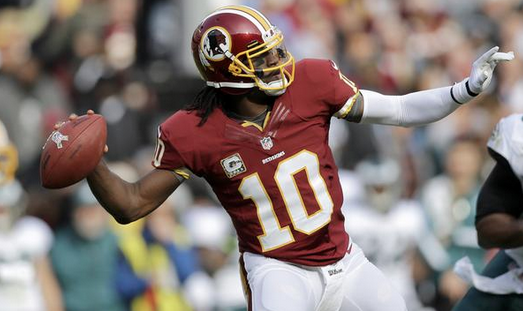 Mike Shanahan is among the growing number that just can’t leave RG3 and his struggles alone. During his rookie season, Robert Griffin III looked like the next great passer working alongside Shanahan in Washington. It’s been downhill ever since. During an appearance on the Dan Patrick Show, Shanahan said the reason Griffin’s career went south is that Griffin and owner Dan Snyder decided that Griffin should be a pocket passer, without considering just how difficult it is to become one of the greats. “Once you change schemes, and you want to go to a scheme that really you haven’t done throughout your career, it does take some time. And I don’t think Dan or Robert realized the transition that it was going to take for him to take that step,” Shanahan said. Shanahan, as only he can, distanced himself from the whole pocket passer scenario, saying that’s something RG3 and the owner came up with on their own. “Once the owner and the quarterback decide that the type of offense that we were successful with in 2012, that they don’t want to run a lot of those plays, they want to throw more and run less, and you get a lot of people involved, it takes away from the coach,” Shanahan said. Shanahan implied that Griffin won’t be successful again until he returns to being a running quarterback. Those carries are what put RG3 in jeopardy on a regular basis.